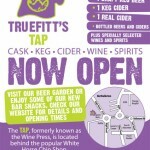 I first met Matt from Truefitt when he was working at Captain Cooks Brewery in Stokesley, he’s since become a good friend and client (we do his branding, labels and pump clips). 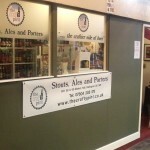 As a result I’ve never really written that much about his beers on here, apart from the odd mention in my Golden Pints, for the fear of being accused of saying nice things about the beers because I’m involved. Matt will tell you it’s the complete opposite and I’m the first to say what I don’t like about them, but like every beer it’s subjective and all down to personal taste with the exception of infections or genuine problems. Genuinely his cask beers have really impressed me especially Erimus, Ironopolis and Rusty Gold, but my current favourite has to be Trembler. Not long after Matt started Truefitt I went and helped brew the original Trembler a 7.4% IIPA, which you can read all about here. 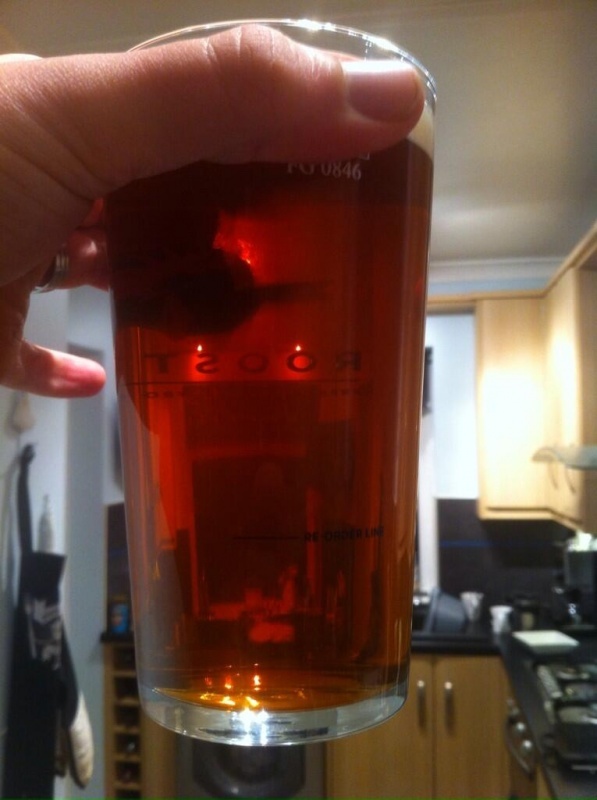 He’s now onto his 4th version of the beer, which he only brews every now and then and I have to say that I think it’s the best yet, I worked my way through a pin on New Years Eve/Day and every pint hit the spot. I think he’s really hit the balance between the initial sweetness often found in strong beers and the nice crisp bitterness that I love in his pale session beer, Erimus. It’s packed full of piney goodness like you’d expect from a big IIPA, plenty of lemon and orange pith and possibly even a bit of pineapple juice. 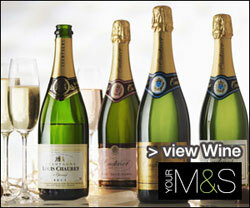 I also think he’s nailed the carbonation with this one too making for deceptively easy drinking. 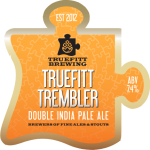 For more info on Truefitt beers, follow Matt on Twitter or if you are a pub/landlord you may be able to get your hands on one of the last few casks of Trembler by giving Matt a call, details here.